January 31, 2019 – On 1 July 2018, Gitta Künker became the new Managing Director of the World Money Fair. In addition to the digitization of this coin fair, which is so important for the industry, her special concern as a central hub of industry is to put the focus back on the collector. We asked her about her strategy and her medium-term goals. Even though the World Money Fair is today’s market leader, Ms. Künker sees a number of opportunities to further strengthen this position. CW: Would you be so kind as to briefly explain to our readers what your professional expertise is and how you will to use it for the benefit of the World Money Fair? 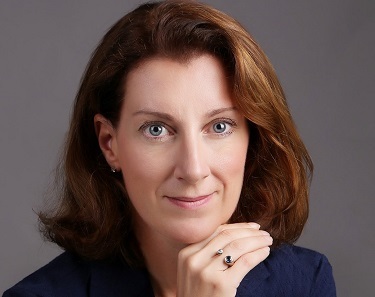 Since 1 July 2018, Gitta Künker is the new Managing Director of the World Money Fair Holding. GK: With pleasure! This is an important question that has frequently been asked of me as a newcomer in the rather traditional coin industry. Most people in the coin industry rightly associate the name Künker with the Künker auction house founded by my father in 1971. Since I was born only shortly after the company was founded (and now I have told you my age), a certain affinity to the industry was almost born in the cradle. My father skillfully expanded this with gifts of coins, and during my apprenticeship I enjoyed working for Künker. After studying economics, however, I was drawn into the world of large corporations, first as a consultant and then as an employee of the two major Swiss banks. In addition to having gained theoretical knowledge, it was important for me to learn the right tools for developing and implementing transformation processes in companies. Later, as the head of global change processes and with my relocation to Asia, the so-called soft skills moved more into the foreground. Intercultural understanding and consistent customer orientation, both internally and externally, are prerequisites for bringing about changes together in a team. I quickly realized that. Today I do not just like to talk about being an expert on change, but of my passion for change. Realigning companies and accompanying them on their way to repositioning is simply a lot of fun. It means doing the right thing for customers, employees and shareholders. And in the specific case of the World Money Fair, it also means doing the right thing for all market participants. If the coin industry is doing well, so are we! That’s what I like to focus my energy and expertise on. CW: At 15,000 visitors and about 330 exhibitors on 13,000 square meters, the World Money Fair is one of the biggest and most successful coin fairs in the world. To what extent, in your opinion, can the event be improved? GK: We live in a time of constant change. What is very successful today is already outdated tomorrow. Especially as a market leader, it is therefore of crucial importance to anticipate today what our customers want tomorrow. A task that requires not only a close dialogue with our customers, but also a sense of relevant trends from other industries. These days, thanks to digitalization, we shop online and do for example our banking efficiently and flexibly in time and space. We have learned how comfortable that is and expect similar solutions for all industries. And this is where the World Money Fair needs to catch up! CW: Do you have any specific transformation plans for the World Money Fair 2019 yet? GK: In 2019, we especially offer additional services for our collectors. We focus on the end customer, so to speak. We will hold podium discussions and workshops to give collectors relevant knowledge of new regulations and numismatic techniques in particular. The focus is on the subject of German Kulturgutschutzgesetz [Act on the Protection of Cultural Properties] and the so-called “grading” (description, preservation and verification of the authenticity of coins). Of course, these topics are also of interest to the dealers and mints. CW: What will the World Money Fair 2020 look like? GK: In 2020, you can look forward to a few innovations. We will become more digital, fresher and continue to orientate ourselves towards the needs of our collectors. We will become a bridge between the international mints and the end customer. I do not want to reveal too much at this stage, but you can look forward to innovative ideas on the issue of secondary markets and a refreshed gala event. Let me just say this much: The Oscars are coming! In addition to our new exhibition appearance, we’re working on maintaining closer contacts to the coin industry over the course of the year, too. As an independent company with connections to all the players along the entire value chain, we’re predestined to set new trends and thus supporting all market participants. In doing so, we’re going back to our roots. Our founder and honorary president Albert M. Beck lived innovation. The idea to connect information for a broad public by means of a public exhibition and a trade journal with a marketplace for mints, coin wholesalers and the mints supply industry has been copied to this day, but never surpassed. Since its founding, the World Money Fair has been the inspiration for the coin industry. We are following in the footsteps of this and are pleased that we can continue to count on Albert’s support and advice. CW: Thank you for the conversation. The interview was conducted by Ursula Kampmann and published for the first time in Mint News Quarterly. Gitta Künker of course has a Xing Profile. And you can find here in our Numismatic Who’s who. And here you can find the website of the World Money Fair.